On a bleak Wednesday evening just after rainfall I hurried into Applied Arts to catch a meeting put on by the University of Wisconsin–Stout’s Music Production Club. The purpose of my being there was to get a glimpse into the music production scene here in Menomonie. I was fortunate enough to attend on a day in which the club was featuring a guest: electronic music producer Feng Meng Vue (aka sloslylove) from Eau Claire. Vue proceeded to play a 15-minute set consisting of a single track: amorphous, oscillating and driving. Following his enthralling performance, he proceeded to engage in a short Q&A. Vue’s statement represents one side of the spectrum for intentions towards music production. 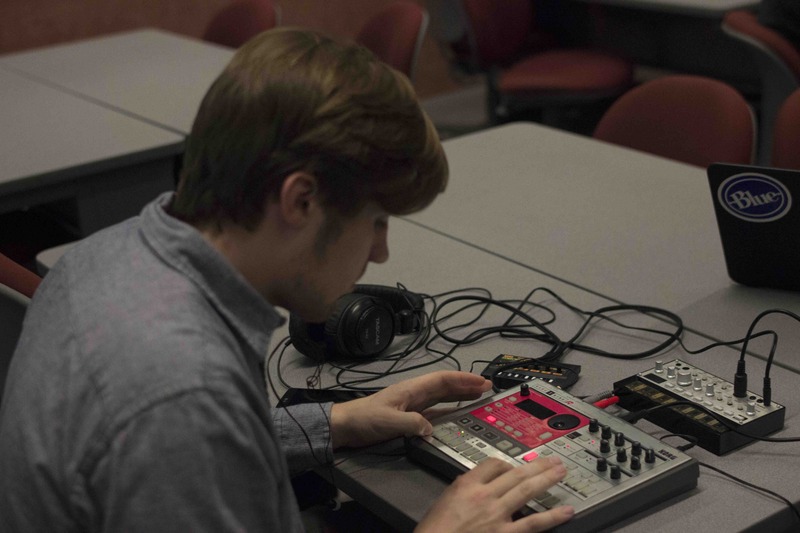 Club member and music producer Nolan Hall, a UW–Stout junior studying industrial design, felt differently. “I like to have fun and music is all about fun to me. I don’t take it too seriously but I love to do it because it’s such a creative outlet,” said Hall, who will be releasing his second EP, Fractal, on Oct. 17 under the moniker ninety4. Other members are still trying to find their sound before they release music. “As far as projects I don’t have anything official coming soon. I’m still exploring different avenues of electronic music,” said club member Keenan Strom, a Junior in UW–Stout’s Graphic Design Program. “Once I feel absolutely confident about my songs and beats I would like to try to get some label releases,” he affirmed. 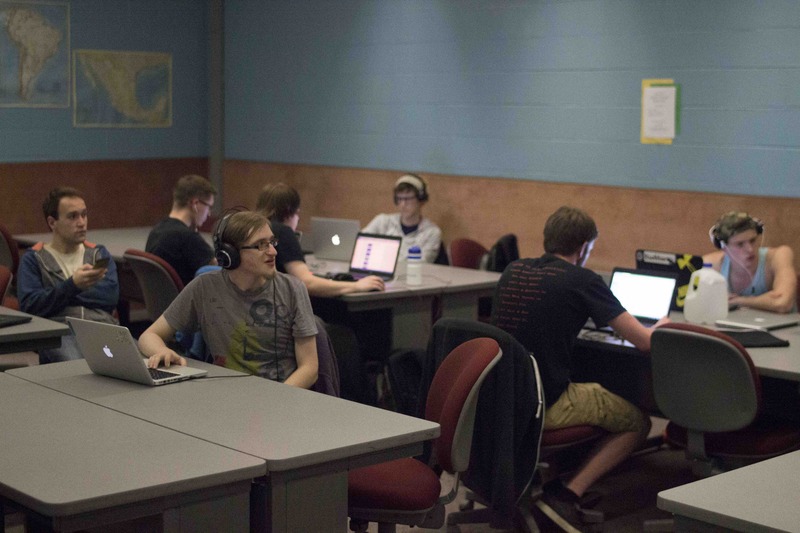 Music production, however, is not an interest that solely attracts students. Jason McAtee, a Spanish professor at UW–Stout, has been involved in the music production club to further his own craft. This is the exact sort of environment Andrew Heldstab, club president, intended on creating: a space where aspiring musicians can come together, collaborate and learn about the craft. Heldstab, a senior business administration major at UW–Stout who also produces music under iv heldstab, possesses a fine-tuned philosophy towards music production. He believes that today’s music has become a solo experience. However, through the club, he hopes to restore the sense of community in music and provide a space right here in Menomonie where music enthusiasts can create and thrive. Get immersed in local sounds! Check out the music of sloslylove, ninety4, kstrom, and iv heldstab on Soundcloud.